Big Blue Swim School is set to be a big fish in franchising. The Chicago-based swim school franchise is making waves with an innovative business model, focused on operations and the use of proprietary technology, that is changing the face of the $20 billion swim lesson industry. With the mantra “Life’s Big Moments Start Here,” Big Blue Swim School is all about the experience. No more cold pools, chattering teeth, and frustrated parents with multiple children, who are forced to juggle their schedules to accommodate different lesson times. 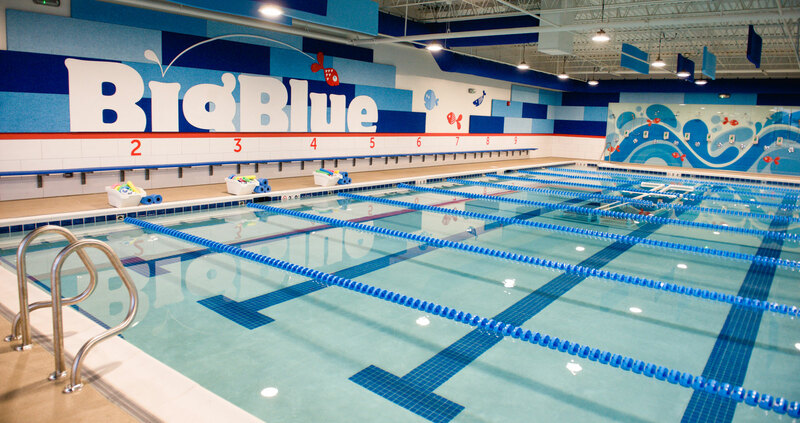 Big Blue Swim School features state-of-the-art facilities with 90-degree, temperature-regulated swimming pools, carpeted floors throughout to help prevent falling, ample changing rooms, and plentiful parking. Larger, 13-lane swimming pools and time-saving scheduling flexibility give busy families plenty of options for personalized lessons for kids of all ages and levels, simultaneously taught by full-time child engagement specialists. “One of the things Big Blue did early on—that makes the brand special today—was to realize that none of the competitors were leveraging technology to communicate with the parents to book, and rebook sessions, and maximize the capacity planning – almost like an airline does for planes,” says franchise veteran Scott Thompson, Big Blue Swim School’s chief development officer. Big Blue Swim School was founded in 2010 by five-time U.S. National Champion swimmer Chris DeJong, who missed qualifying for the U.S. Olympic team in 2004 and 2008 by four-tenths of a second to Olympian Michael Phelps. DeJong wanted to give back to his love for the art of the sport by teaching swim skills in a way that was far different from his own childhood. It didn’t take long before DeJong knew he was on to something. 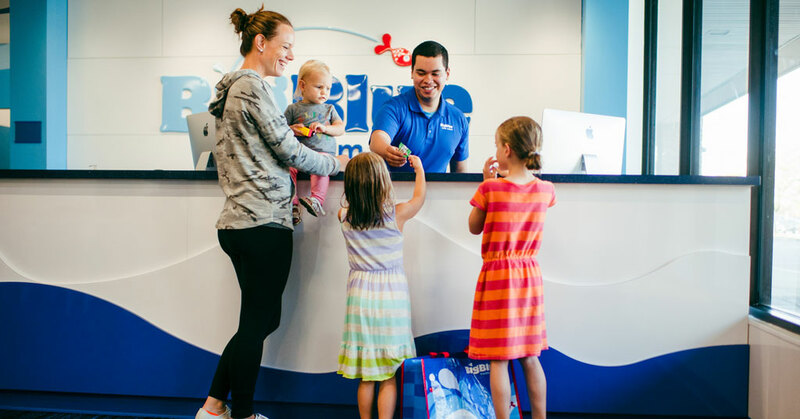 Big Blue Swim School’s first location in the Chicago suburb of Wilmette quickly soared from a client base of 600 weekly lessons to teaching nearly 2,000 lessons a week. “This is a brand that stood up in year one,” Thompson says. The brand’s teaching model, focused on developing both swimming and life skills, also sets the franchise apart from the competition. Big Blue Swim School uses swimming as a confidence-building activity through a distance-based learning model. Children target increasingly longer distances, marked by the classifications, ‘Baby Blue,’ ‘Bright Blue,’ ‘Bold Blue’ and ‘Big Blue.’ ‘Big Blue Level 3,’ for example, means the child can swim 1,000 feet or more.” The method provides parents with a clear understanding of how far their child can swim, and enables them to track that progress and schedule classes through the Big Blue app. “Our mission is to unlock the full potential of a child in the water and outside of the water,” notes Thompson. Big Blue Swim School is primed to be a best-in-class industry leader with unmatched support and an aggressive franchise expansion strategy. The brand is backed by the leadership and financial muscle of Level 5 Capital Partners, the largest franchisee of CorePower Yoga, who acquired a majority stake in Big Blue Swim School in 2017. For franchisees, Big Blue Swim School offers a turnkey opportunity and a well-designed, fully absentee model. The franchise handles site selection, lease negotiation, construction management, and pre-opening marketing, with a General Manager hired to operate the day-to-day business. Once an owner-operator officially opens the doors to their location, Big Blue’s proprietary management software, Lesson Buddy, systematizes the operations, tapping into cloud technology. 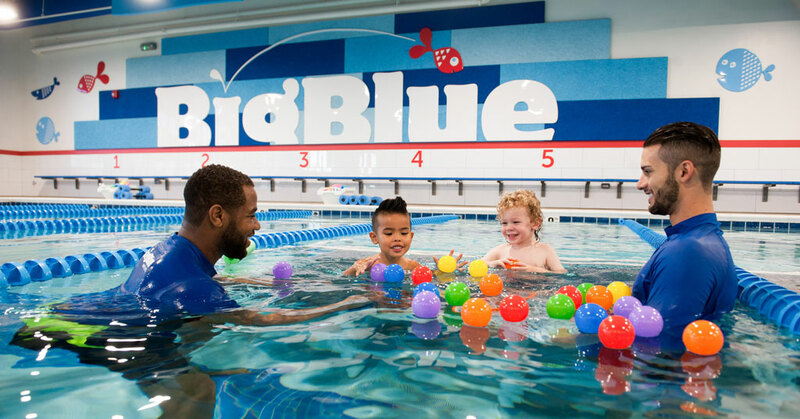 With five locations opened in the Chicago area, Big Blue Swim School is on the road to expanding as a national brand, with plans for 150 units by 2020, primarily through franchising. With an established presence in the Midwest, and plans to add swim schools in Texas, Florida, California, Big Blue Swim School is looking to grow with the right partners. Your big moment in franchising starts here. To learn more about owning a Big Blue Swim School franchise, visit bigblueswimschool.com/franchising.